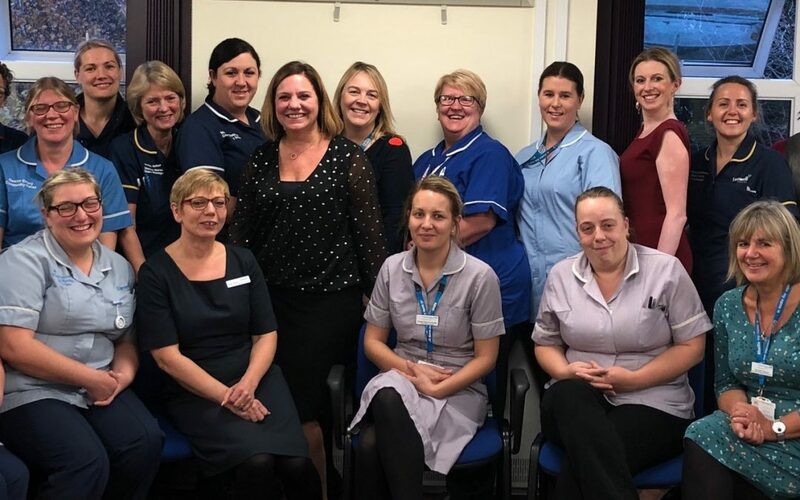 The national lead for the Trainee Nursing Associate programme told trainees and mentors they were “phenomenal” when she visited Livewell Southwest to hear from those involved in the innovative pilot programme. Sam Donohue, Senior Nurse, Policy, for Health Education England, held a round-table discussion with trainees, their mentors and managers from Livewell Southwest and University Hospitals Plymouth NHS Trust during a visit yesterday. Sam was involved in designing the role, and said it was a privilege to hear the development journeys the trainees had been on. Sam said: “It’s a really forward-thinking collaborative around a vision of the nursing associate role within the nursing workforce. The fact that we’ve got this group of nurses with a combined vision is just fantastic. It’s quite moving to create something that you hope will work and then see it being really delivered. At Livewell the trainees have been based in community nursing, while at UHP they have completed rotations in acute, medical, surgical and frailty. But they have all completed training across both organisations, giving them insight and understanding of the patient experience, from home, to hospital and back home again. Dawn Slater, Director of Clinical Practice and Development, said: “It’s been amazing to see these trainees develop and flourish, and they have seized the opportunity with determination and real commitment. They’ve been incredible advocates for the role and we’re hugely proud of them. Sam also heard from staff based at other nursing associate pilot sites including North Devon District Hospital, Torbay Hospital and the Royal Devon and Exeter Hospital.